While you can buy all sorts of props, and I suggest that you do, here are some ideas for the Do-It-Yourselfers out there. Dancing ribbons and scarves are great ways to encourage musical movement in young children. They are fun and colorful. I suggest these over the streamers on sticks for young children because children running around with sticks is never a good idea. These are more durable, too. However, you may not need the dozen or twenty-something that come with the sets sold by music education retailers. If you DIY, you can make scarves or dancing ribbons in you or your child’s favorite colors, which may encourage them to use it even more. You could even tie-dye the scarves and get the children involved! Below are the links to the two websites that give detailed DIY instructions. Happy crafting!!! Creating a musical environment for very young children is crucial. Among the many things adults can do is to provide children with suitable musical toys with which they can interact, exploring the sounds they can make with the toys. 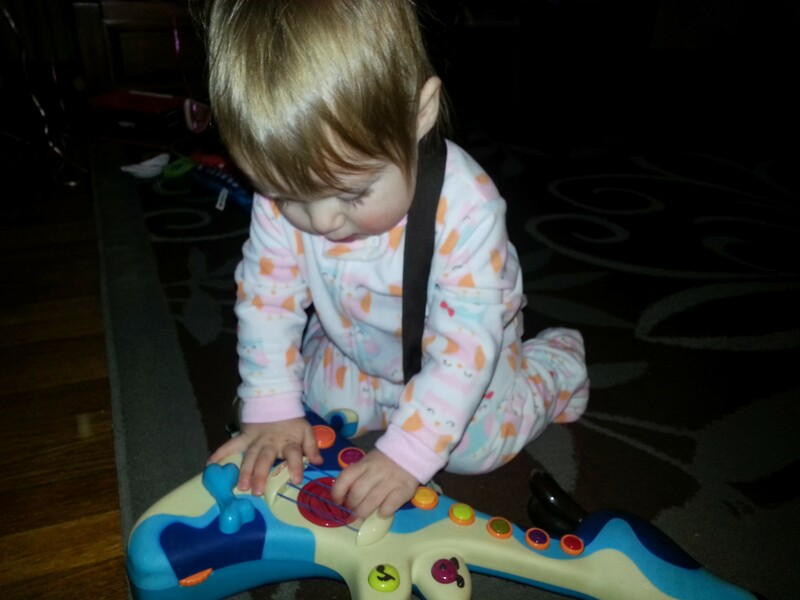 Here is an excellent article on this important stage of musical development in early childhood. Awesome! Thanks for the reblog!